“Let Me Be Enough.” 2012. Embroidery on fabric. 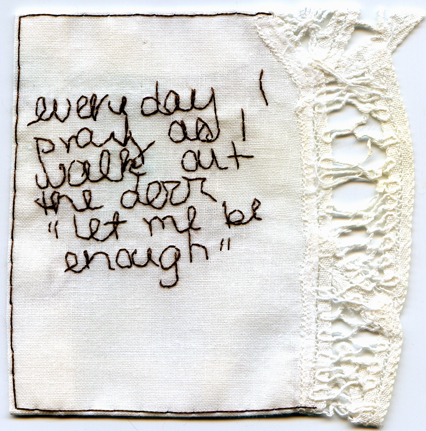 Borrowed text from Dumbo Arts Festival Embroidered Tweet/Post-It Note Confessional Project. 4″ x 4″. In a private collection.